With the release of the new cheaper Apple TV 2G, its officially safe to say that the original Apple TV wont be getting any new updates. That doesnt mean that your original Apple TV is dead. It’s actually the best time to finally hack it. With the final Apple TV 1st gen firmware released now is the best time create a patchstick and install aTV Flash. The Firecore Team has released aTV Flash 4.2 for the original Apple TV. aTV Flash is a set of plugins and programs that supercharges your original Apple TV. With aTV Flash, everthing you wanted your Apple TV to do, will finally work. It brings your old Apple TV back to life, with tons of features! aTV brings the ability to play almost all the major video formats including avi, mkv, divx, and flv. You can easily drag and drop media files onto your Apple TV. It enables USB storage support. 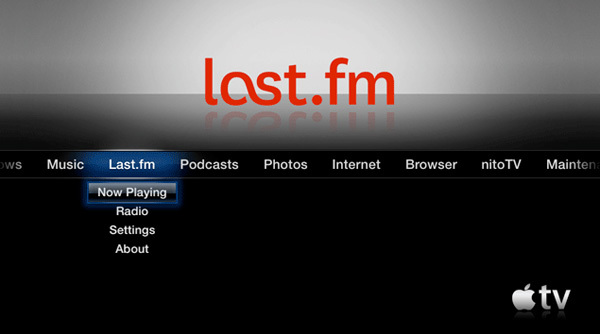 There is a browser app to view webpages, and the latest version even adds Last.FM app. If that wasn’t enough, it even installs the latest Boxee beta and XBMC. aTV Flash 4.2 is incredibly easy to install. You simply download the USB installer. It’s available for both Windows and Mac OS X. You open it up, run the installer, plug a compatible USB drive (256MB or higher) and it automatically creates and installs the aTV image onto your flash drive. .aTV Flash sells for $50, and includes a year of updates, and they have very good support. This absolute best way to get the most out of your old Apple TV, it really makes it a true media player. Check out aTV Flash at firecore.com/atv. I found this article very interesting and helpful for me and other Apple TV users. You can also use other handy Media Player apps to cast music, video, movies and online streaming easily. I am using PlayerXtreme and I suggest this product to all my friends who want to cast audio, video and online material to their Apple TV devices. have done a lot of research and after using a couple of apps I came across PlayerXtreme. It is available on both android and iOS platforms and it has chrome cast and airplay features. It works perfectly and is user-friendly. It doesn’t cost much and I mostly use it’s chrome cast feature and downloading subtitles feature. And frankly jailbreak is unethical so I use apps that do not conflict my ethical values. And I don’t have to worry about jail breaks.